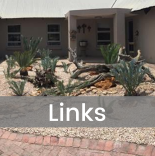 The purpose of Cycad Lady website is to serve as a practical guide with the layman in mind to use in his/her pursuit to better understand, identify and cultivate his/her cycads. 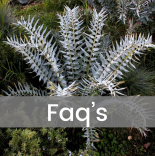 The need for Cycad Lady website was prompted by the lack of South African web information pertaining to the species indigenous to Southern Africa (specifically, Encephalartos species). It is not intended as a scientific web site but promises to refer to the relevant literature available to the indigenous collectors. As a Collector myself (the Cycads Lady), I know the inevitable obstacles that delay a beginner in the pursuit of completing a collection of the South African Encephalartos species. Then, when that collection is finally complete, how to go about getting that plant to a presentable size and to landscape the collection to do justice for all the time and money spent on collecting these magnificent plants. To avoid the same fate I suffered this site strives to inform the layman of the potholes in the road of collecting Encephalartos (The Indigenous Cycads). Cycad lady hopes to assist in all aspects of cycad collection and cultivation. We would like to hear from you to improve the information on this site.